Protect your beauty of your home and landscaping. Using high quality materials, our professional installers custom form your seamless evestrough on site, insuring precise measurements and a perfect fit to your home. We custom cut all corners on site and never use pre-made mitres from suppliers. Many styles and a wide array of colors are available, assuring a perfect match for any home. 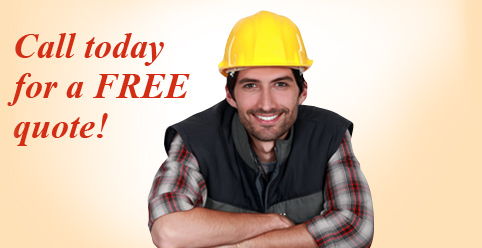 Most evestrough installation jobs are completed in one day. 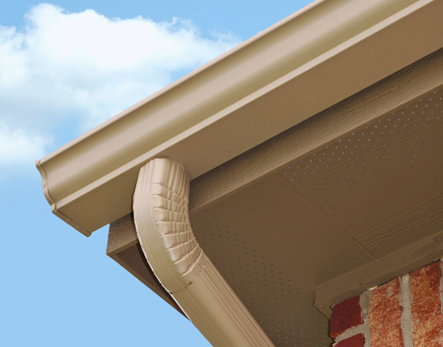 Soffit, which can also be called the soffit vent, is the underside of the overhanging part of a roof. It contains tiny holes, which is why it is also known as vents. Soffits are easy to overlook, but they are very important: without them, your attic wouldn’t be properly ventilation, and moisture could lead to rot. Over time, this could cause serious damage to your roof. 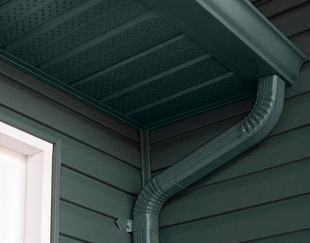 Keeping good, well installed, intact soffit on your house can save you hundreds or thousands in preventive care. Fascia is a vertical finishing edge that is found at the point where a gutter meets the roof at the ends of rafters or trusses. Fasica is important it acts as a buffer between the edges of a roof and the outdoors. Without it, the wood boards inside would be exposed to water and become damaged over time. Fascia is functional, and it also enhances the appearance of a roof by giving it clean, sharp edges. It’s our longstanding reputation for competitive pricing and quality finished results that make us the premier choice for siding installation when the job needs to be done right. The siding that covers your home is in many ways just like the skin on the surface of your body; it works to block out all that is bad in the environment, while it protects the inside of your home. Also just like skin, appearances do count for a lot. So today you have more choices than ever in home siding. Choices in service life, which is how long you can count on your siding to last, choices in types and styles and also more range in prices. Left unchecked, twigs and leaves can build up, and weeds and fungus can grow in the gutters and roof. 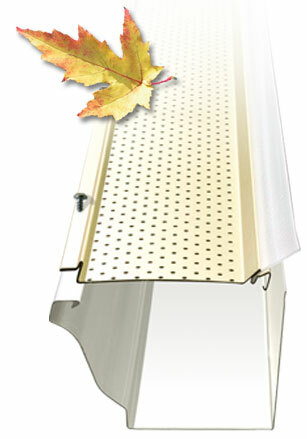 If gutters become clogged with branches, leaves and other debris, they won’t be able to do their job. 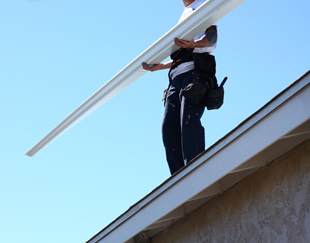 In fact, ignoring your gutters is probably worse than having no gutters at all, because clogged gutters are likely to result in water damage to your roof and fascia board (the molding that sits just below the edge of the roof). When gutters fill up with decaying organic material mixed with water, they become very heavy, and in extreme cases they can become so heavy that they tear off the house. We install the Alu- Rex leafguard system that eliminates the need for eavestrough cleanings while ensuring trouble-free eavestrough operation for years to come.